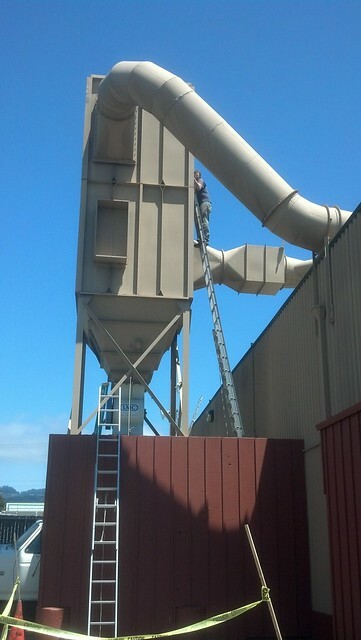 We did some maintenance on a dust collector system at Berkeley Mills woodshop. 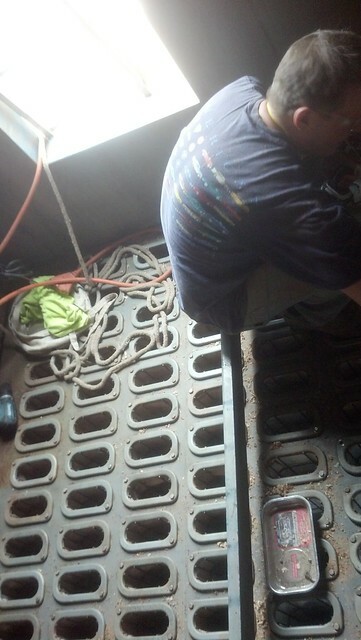 The main task was to replace 120 8 foot filter bags. After that we just had to greased all the motors and do an overall check on the system. 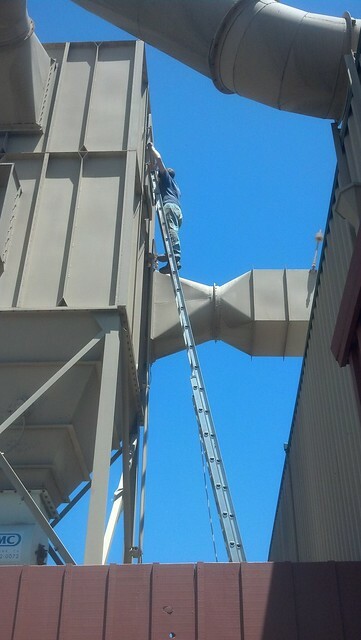 Not our usual work but its always nice to get out of the shop, and the view from the filter house was nice too.